Several months ago we ran a poll asking you who you felt were Google's biggest threats. Since I am offline today, I wanted to schedule a post with the results of this poll. The results are obviously skewed to the readers here who are mostly technical in nature, but it makes the results interesting. 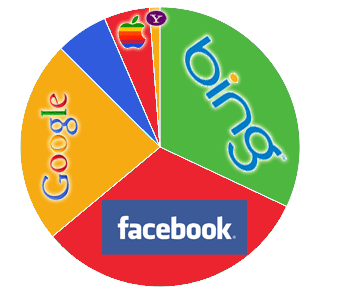 We had about 250 responses and the majority said that Bing, Facebook and Google themselves are Google's biggest threats. The other answers included government, Baidu, Blekko, ex-Googlers, and some comical ones. This post was written earlier and scheduled to be posted today.